Never used but does not come with original boxing. This Altura Photo (model AP-UNV1) shoe mount flash attachment is universal and compatible with DSLR cameras. It has a well-designed foot that easily slides and fits on the camera shoe mount. It is used in S1/2 manual mode and has a 125-ft guide. This flash attachment can be controlled remotely and comes with a built-in flip-down wide-angle flash diffuser. The MPN is AP-FLS-UNV1. Ordering your first Flash can seem like a big leap of faith (It was for me. )If you are new to flash photography like I am, there cosistant hype about what flash units one should be using or not using. Dont listen to anyone who tells you that flash photography is hard and expencive, and that you need over-complicated set-ups to acomplish it. I bought this Altura flash because it has everything you need to master flash photography. The altura is super easy to use, and way better than your pop-up flash ever hopes to be. take that leap of faith and hit the ground runnig with this flash unit from altura. It will build the foundation for your new skills as a flash photographer! 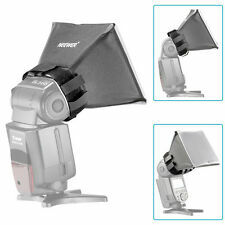 I highly recomend you order this Altura Flash for your entry into flash photograpghy, You will not be sorry! This flash kit is a great buy because it provides the user all the tools and instructions that allow you to take excellent photographs. The instructions were clearly and simply written and easy to follow. That you're able to set the intensity of the flash is an added bonus. I'm quite pleased with this purchase. Was just looking for something to practice with but when I received the product, it was much nicer than I thought. Its easy to use and gives beautiful results. Its lightweight yet durable. I have purchased 2 kits so far and have never been happier. Thanks! This flash works very good and has great power, very easy to use and for the price is perfect to start practicing Off Camera Flash.